Lemon Water: One of the easiest ways to clean a dirty microwave is to add two cut lemons to water in a microwave-safe bowl. Then, heat the bowl inside the microwave for about 5 minutes until the water is boiling. Let is sit for a couple of minutes then wipe down the inside. Dryer Sheet Dusting: Dusting is never fun. Dryer sheets help pull dust out and make surfaces less likely to attract new dust. For other ways to use dryer sheets, check out Morning Chores. Stovetop Wax: Your dinner exploded all over your clean stove. Now what? No matter your stovetop type, pretreat your stovetop in the future with a buffing wax, like the kind for cars, and voila! You’ll notice that your stove is much easier to clean up when dinner doesn’t go as planned. Fresh Fridge: You go to grab your favorite snack from the fridge and it’s way past its expiration date! To avoid this in the future, Expert Home Tips recommends placing perishable foods due to expire soon in a shoebox clearly labeled to be consumed first. Stubborn Stains: Stains happen! Whether it’s on furniture, clothing, or carpet. Clark.com has tips on how to treat common household stains such as nail polish remover for lipstick. 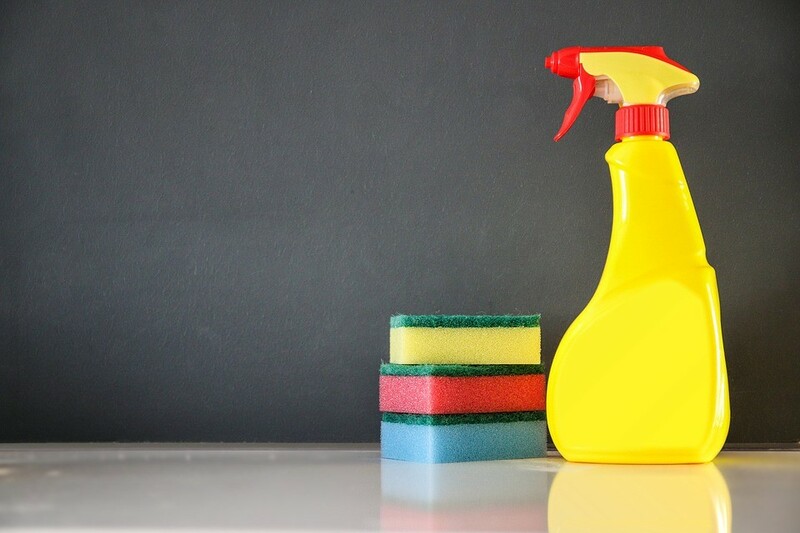 At Honeywood, we believe it’s how you live that matters and using these cleaning tips will help you spend less time cleaning and more time to enjoy the beautiful Roanoke area. Have your own cleaning tips to share? Let us know about them on our Facebook!